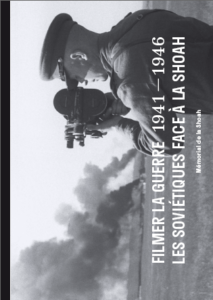 Filming the War: the Soviets and the Holocaust, 1941-1946. Language: French + an English section at the end of the book. The 1936 Berlin Olympic Games were the most impressive sports and political event between the wars. Athletes from the democracies competed against athletes from countries with political regimes — Nazi Germany, Fascist Italy and militaristic Japan — with ideologies that raised force and violence to the rank of cardinal virtues. 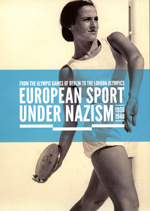 Not only did calls to boycott the Berlin Games fall on deaf ears, but the Reich tallied up the most medals. European sport entered a tragic decade. International sports events took place in the context of the march towards war. The night of November 9-10, 1938 marked a break with Nazi policy from 1933 to 1937 and a new stage in anti-Semitic violence and persecution. 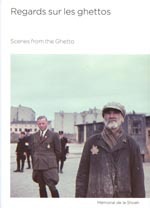 But it also revealed the world’s indifference to the plight of Jews in Germany and Austria and the democratic States’ inability to counter Nazi Germany’s blows. Between Nazi Germany’s invasion of the Soviet Union in 1941 and 1944, Einsatzgruppen (mobile killing units the East), SS units and local collaborators shot to death nearly a million-and-a-half Ukrainian Jews. Since 2004, Father Desbois and the Yahad-in-Unum research team have been looking for witnesses in order to locate the execution sites.